Black, white, shades of grey. Sometimes it feels like those are the only colours you see on buildings. Interesting architecture can save a city from looking dull, but adding a little colour to a building, whether residential or commercial is never a bad thing. Those double or even triple rainbows won’t seem so rare and fleeting once you see them painted onto buildings that thousands of people see everyday, so check these wondrous works of art out and try telling us that they didn’t just brighten your day. 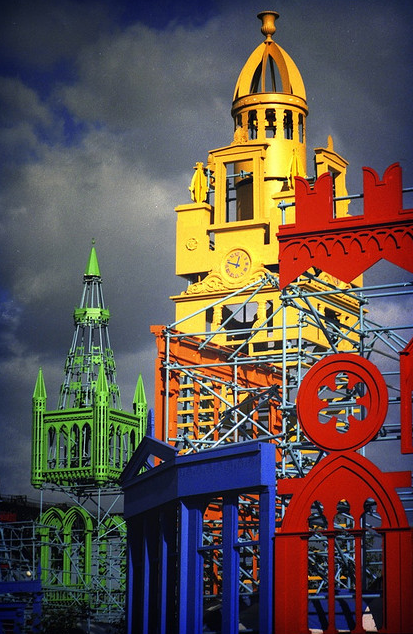 Built for the Glasgow Garden Festival in 1988. Photo by gms. 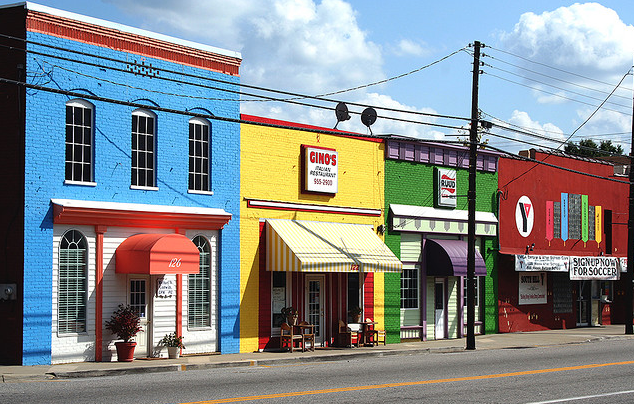 That simple small town America charm with a twist in South Hill, Virginia. Photo by aleeya. 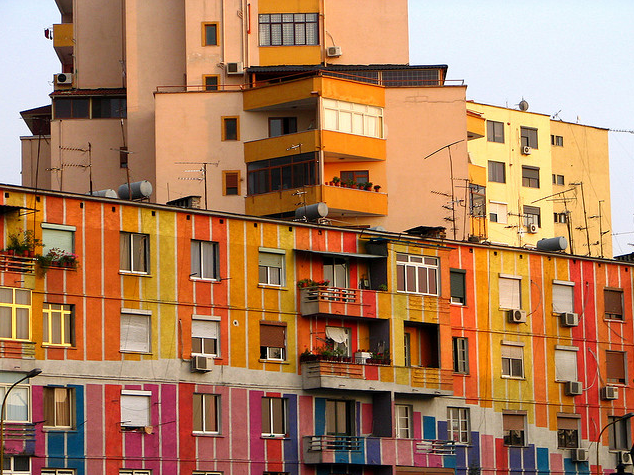 Colourful apartments in Tirana, Albania’s capital city. Photo by davduf. 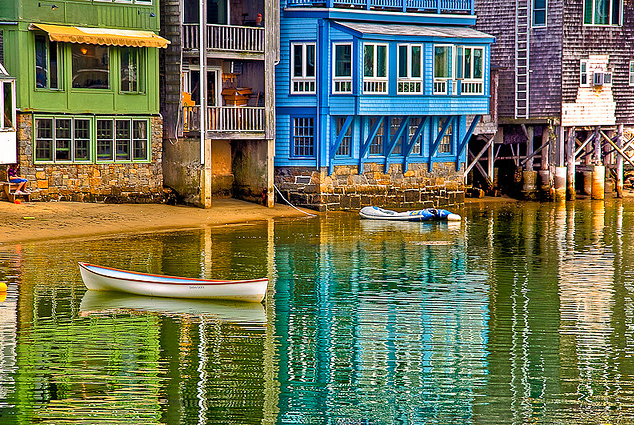 The idyllic back harbour in Rockport, MA. Photo by briburt. 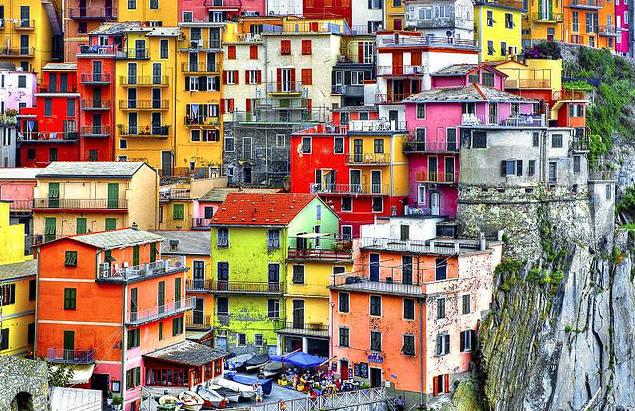 Great cuisine and great colour palette in Italy. Photo by GadiHext. 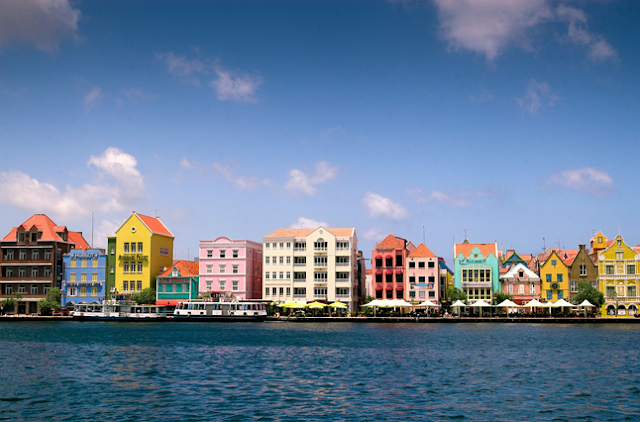 Did someone say Curacao? We guess we did. We just like saying it! 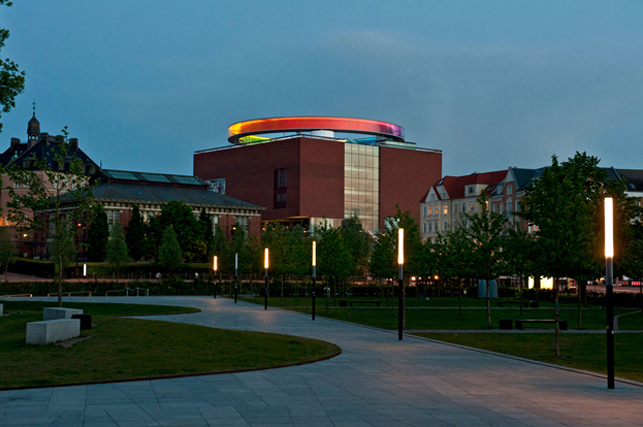 Awesome rainbow viewing gallery on top of the ARos Aarhus Kunstmuseum in Denmark by Danish-Icelandic artist Olafur Eliasson.